*Paint Love's projects at Camp Peace this summer were sponsored by See Beautiful through their generous Milestone Grant! What a crazy and incredible month, June has been for Paint Love! In the midst of our fundraising for our #SavePaintLove campaign, we have been working with one of our partners, Women’s Resource Center every week! We’ve been working with their summer camp, Camp Peace, for the second year and have loved every minute of it! 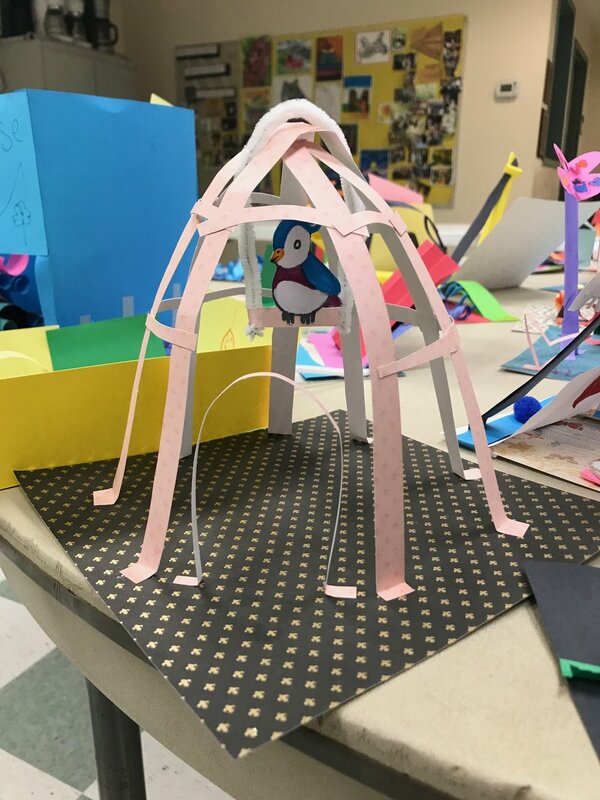 The mission of Camp PEACE is to bring children exposed to domestic violence together for a summer of activities that facilitate Peace Education, Action, Compassion, and Empathy. Based on principles of Peace Education and Cognitively-Based Compassion Training, Camp PEACE will help children learn alternatives to violence while promoting tolerance, impartiality, affection, self-compassion and compassion for others. Here are some of our projects and favorite stories from the month. Week 1: We kicked off the summer with our very own Julie McKevitt leading this class! As soon as we walked in, kids automatically remembered Julie from Paint Love’s last summer with Camp Peace. We decided to work on a collaborative mural using paints, quilling paper & a photo of Atlanta! Our amazing artist, Rebecca Carmen, designed this amazing mural for us, and divided it for each child to have a canvas. Each child painted and decorated a square tile canvas that would come together to create a mural of Atlanta’s skyline! These tile canvases were first painted and then decorated using construction paper of the same color! Each one of these tiles came together to create a large canvas. Week 2: On the second week, we had just launched our #portraitORforfeit challenge online, and this definitely inspired our next project. I led this project by doing funky paper portraits! A lot of the kids choose to use bold colors with pink eyes and purple hair, while some created more traditional portrait pieces. With this project, we did some reflective writing as well. Since we were creating portraits of ourselves, we did short summaries on how we can create peace. Some chose to talk about how they can create peace for others while others discussed how they find peace within. One kid's "bug"rock, don't those pennies look just like eyes?? Week 3: We took the phrase, “Kindness Rocks!” into a very literal sense with this week’s project. Artist, Kathlene Linehan, led her first session with Paint Love by leading a project focusing on kindness. We gathered tons of river rocks and gave each child a few to paint. The kids could either make them to show kindness to others or as a reminder to be kind to themselves. I was so impressed by what these kids made! One little boy created a rock to look like a bug. I asked him why he wanted to make a bug, and he said because he had a friend who really loved bugs! So he was going to make it and give it to him as an act of kindness. 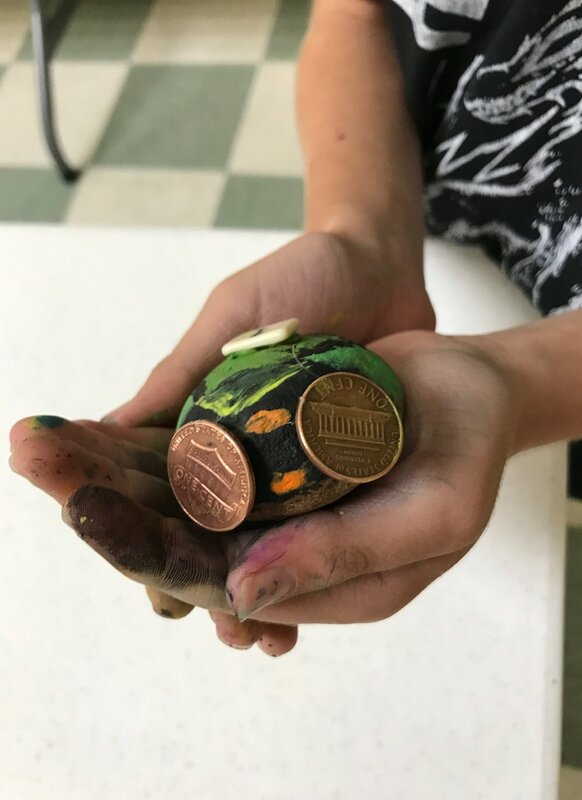 He worked diligently, painting the bug, and even hot gluing his own pennies to act as the bug’s eyes! It was so cool to see how many kids made little sweet reminders like this to give to their friends or family. This week was also super fun for me because we had a big group of volunteers from Georgia State come to help out! By this week, the kids totally remember us and are so excited when Paint Love shows up. In fact, one 8-year-old boy told me “I was really good at my job”, talk about a confidence boost!! Week 4: Our last week in June, we had more GSU students join us and a brand new artist, Lauren Phillips. Lauren has been an elementary art school teacher for years, so we knew she would come with an exciting project! She came with a simple idea of making paper sculptures, just using paper, scissors, and glue. But as soon as Lauren showed the kids all the various ways one could use the paper, these kids’ imaginations went to work! They created everything from a greenhouse to a football stadium to a birdhouse! This was another fun week for me to see the kids really dive into their work. One boy was being a bit of a distraction and was not participating when one of the GSU volunteers pulled him aside and began working with him. They started talking and all of a sudden he began making a giant roller coaster! He was so proud of his work, he kept coming back to check on it to make sure it was still standing. This month has been crazy between fundraising and multiple summer events, but moments like that always give me that extra push! I love seeing these kids faces light up when we show up with a wagon full of art supplies. I’ve had so much fun working with everyone at Camp Peace and inviting new people, like our volunteers from GSU, and our two new artists to the Paint Love community! We love what we do, and love it, even more, when we get to share it with new people! So thank you all for helping us create moments like these in serving our community. We are so very grateful. Thank you to See Beautiful for making our work this summer with Camp PEACE possible!! 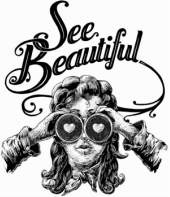 Paint Love couldn't function without the generous support of our community sponsors like See Beautiful.